With climate change being a hot topic in today’s world, more countries are investing in alternative and renewable energy sources to meet the population’s ever-growing energy demands. In addition to solar and hydro-electric, wind energy is one of the frontrunners as a viable long term, green solution. Wind power is the generation of electricity by using air flow to spin wind turbines, then converting the mechanical energy into electrical. One thing many people don’t know is that wind is actually a form of solar energy. Winds are created by a combination of uneven surfaces of the Earth, the Earth’s rotation on its axis, and imbalanced heating of the sun across our atmosphere. There is a huge potential for wind energy, and it’s something that people are starting to take notice. As when looking at any energy source as an acceptable means to meet our future needs, it’s important to look at wind’s advantages and its disadvantages. Below are some of the pros and cons of winds energy that make a compelling argument. Wind energy, much like solar, is one of the cleanest energy sources available to us. It’s considered a renewable resource and is sustainable for the fact that wind will always exist on our planet. Wind is very similar to solar energy in a number of other ways. Its fuel is free, cost to produce is gradually decreasing, and it has great potential for residential use. Contrary to solar, wind power is very space efficient and has a high upside for rural economics. In the pros listed below, I’ll break these down and more in detail. Wind is a part of today’s conversion because it’s a renewable and sustainable energy source. Solar energy relies on the sun shining, and so does wind. This means that for at least the next 5 billion years, we won’t run out of it. Wind is a naturally occurring gift from the planet, and it’s one that won’t be depleted for a very long time. There are many other upsides to wind energy, but this takes the number one spot. The majority of the Earth still relies heavily on fossil fuels such as coal, gas, and oil to generate electricity. Other than not being renewable, these energy sources also emit a vast supply of harmful greenhouse gases into the environment. Wind energy is a green energy source, and a wind turbine produces negligible amounts of these gases throughout its lifetime. Manufacturing and installation of turbines are the only parts of the power generating process that release greenhouse gases. More often than not, the harmful effects of these gases are recouped within 9 months of clean operation. We mentioned above that wind is a renewable and sustainable energy source. A point we’d also like to touch on is that its fuel is free. Once a wind turbine is built and installed, there is no fueling or refueling process that needs to take place. You simply sit and watch wind consistently generate electricity. Contrary to solar power, wind energy is very space efficient. One large wind turbine, on average, has the capacity to generate enough electricity to power 600 U.S. homes. Each turbine only utilizes a relatively small amount of real estate, especially when compared to solar panel kits. 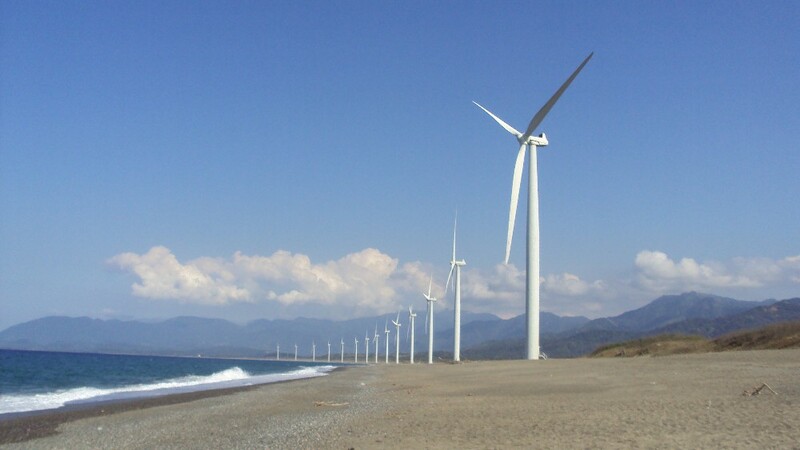 While wind turbines are required to be spaced a certain distance apart, the land in-between can be used for other purposes. Solar farms don’t have this luxury. They require a vast amount of space, and their panels soak up every inch of it. Much like solar, wind energy operating costs are usually very low after manufacture and initial installation of wind turbines. Since 1980, wind energy prices have decreased more than 80%. This is due to the vast amounts of research paying dividends as new and improved technology, in addition to demand for wind power consistently increasing. Future trends are expecting to stay on a similar course as technology advances and wind energy continues to be demanded in higher volumes. Anywhere that the sun is shining, wind is also blowing. This means that wind energy can be produced just about anywhere in the world. It doesn’t rely on being connected to the power grid, which makes it a very attractive energy source for remote locations. It also means that it can be used for individual homes without the need to rely on utility companies for electricity. To go along with number 5 above, I think it’s worth noting that wind energy is especially appealing to the residential market. We’ve already mentioned wind is an independent energy source, which means it’s great for powering homes. In addition to this, wind-powered homeowners also gain access to something called net metering. Net metering basically provides credit to electricity bills for any excess power generated in a given month. You actually get paid for extra energy production. Pretty cool. Wind energy’s positives are fairly well-known. That said, it also has its own unique set of disadvantages. As far as residential use goes, wind often loses to solar for cost and aesthetic purposes. Companies like Tesla are doing their best to make solar even more appealing, which creates concern among wind enthusiasts. In general, wind seems like a viable supplement to any country’s energy production strategy; however, it tends to fall short when being considered as a primary producer. Wind energy can also be unpredictable, as wind speeds often rise and fall. It creates noise pollution that other energy sources, such as solar, don’t. Lastly, there are a few environmental impacts that have to be considered as well. Below, we’ll now describe the typical cons of wind energy. While low operating costs happen to be an advantage of wind energy, high upfront investments also make cost a negative. Larger-scale wind farms and residential turbines generally get built due to financial incentives. Fossil fuels, such as coal and natural gas, currently produce electricity at a rather low rate, which makes it hard for wind to complete in the short run. These incentives are provided so that the long run operational costs of wind energy have a chance to offset the upfront costs. Typically, it takes anywhere from 10 to 20 years before a wind turbine breaks even. With cost being wind energy’s biggest downside, unpredictability is its second biggest. Even though solar energy is intermittent, it’s predictable. With solar energy, you know when the sun will rise and fall. This makes it relatively easy to plan for energy storage. Wind energy is a different story. While wind is available anywhere the sun is shining, that doesn’t always mean the wind is blowing. Wind’s advantage here is that it can still produce energy during nighttime, but this is not enough of a reason to counteract the fact that it’s still wildly unpredictable. The majority of utility-scale wind turbine farms are located in rural areas. This means that the chances of living near them are generally smaller. That being said, noise can be a big issue for those that live within close proximity. Technology continues to advance and improve on noise pollution, but it’s still considered a problem for many. The construction of new energy production plants often causes issues to wildlife and the surrounding environment. With wind energy though, it remains a problem long after the fact. Flying creatures such as birds often fly into the rotating blades of wind turbines, leaving them with little to no chance of survival. Studies show that this is likely blown way out of proportion by environmentalists, but remains a factor that needs to be considered. More often than not, the biological and environment impacts fail in comparison to the advantages, which makes this less of an issue than the other cons of wind energy. The last con we’ll mention is a small one, but it can certainly make or break a buyer’s decision to choose wind energy as a power source. Many people have differentiating opinions when it comes to the aesthetics of wind turbines. While most actually enjoy the sleek, modern appearance of them, there will always be some who don’t. 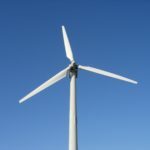 Since wind energy is often considered as an option as a residential energy source, this is something homeowners have to decide on. Solar usually wins out on the aesthetically pleasing argument when it comes to home power production. Whether we like it or not, the energy production industry is in dire need of change over the next several decades. As we continue to burn through our supply of fossil and nuclear fuels, we must turn to alternative, renewable, and green energy sources to meet our demands. Wind, much like solar, probably has to be a part of the equation. Wind energy’s pros include affordable operating costs, efficient space utilization, and free fuel for the next several billion years. It’s also another independent energy source, which means it has unique applications that grid-supplied power can’t be used for. The downside to wind energy includes high upfront investments, unpredictability, noise pollution, and some negative, though often dismissed, environmental impacts. The looks issue is a problem that can be solved by simply accepting it for being what it is. Despite these disadvantages, wind continues to be a viable energy source to meeting Earth’s rapidly growing energy demands. What are your thoughts on wind energy? How does it compare to solar, hydro-electric, and conventional fossil fuel energy? We’d love to hear your thoughts in the comments. « What Is El Niño?